A remarkably significant and hitherto unknown wristwatch. Tourbillon wristwatches are lamentably commonplace in contemporary watchmaking. They are available in all shapes, sizes and axes, and some are even, horrors, downmarket. In that context it is hard to imagine, preposterous almost, a tourbillon constructed as a bona fide timekeeper, one meant to be sold as a watch that actually told the time. 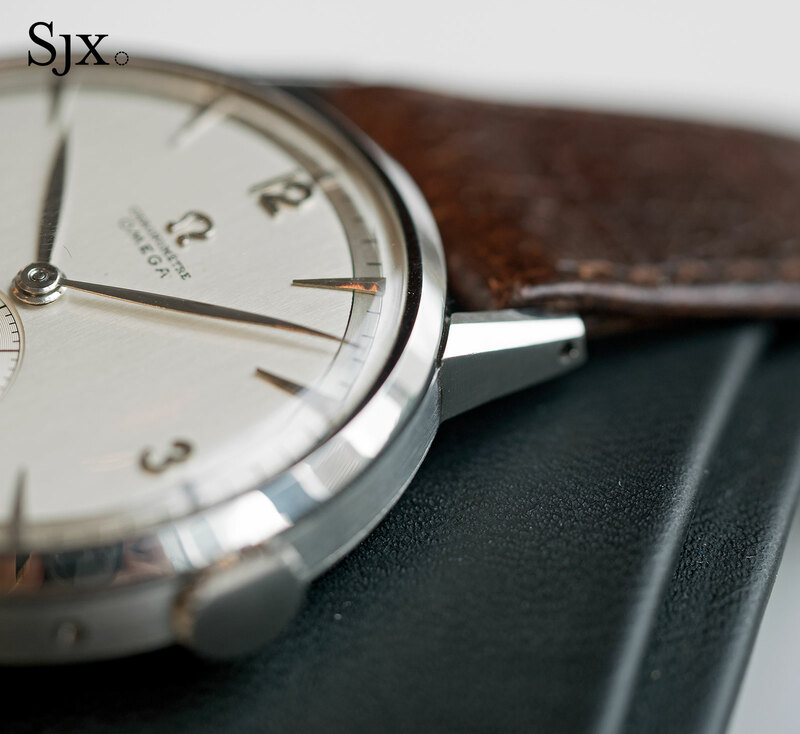 Incredibly, such a watch does exist, albeit on that is now 70 years old. It’s an Omega tourbillon wristwatch prototype, a previously unknown specimen that’s the only one of its kind known, which will shortly be sold at Phillips’ Geneva auction later this month. 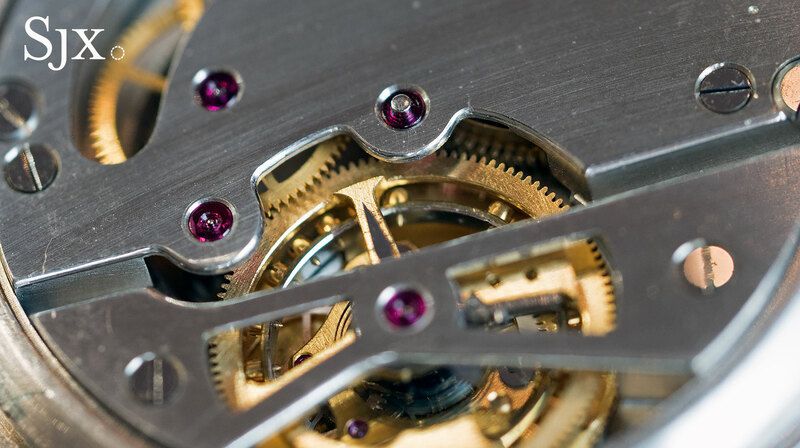 Commercially available tourbillons only came to market in the 1980s, thanks to Franck Muller (1984), Audemars Piguet with the first automatic tourbillon (1986), and Breguet with a Lemania-powered tourbillon conceived by watchmaker Daniel Roth (1988). 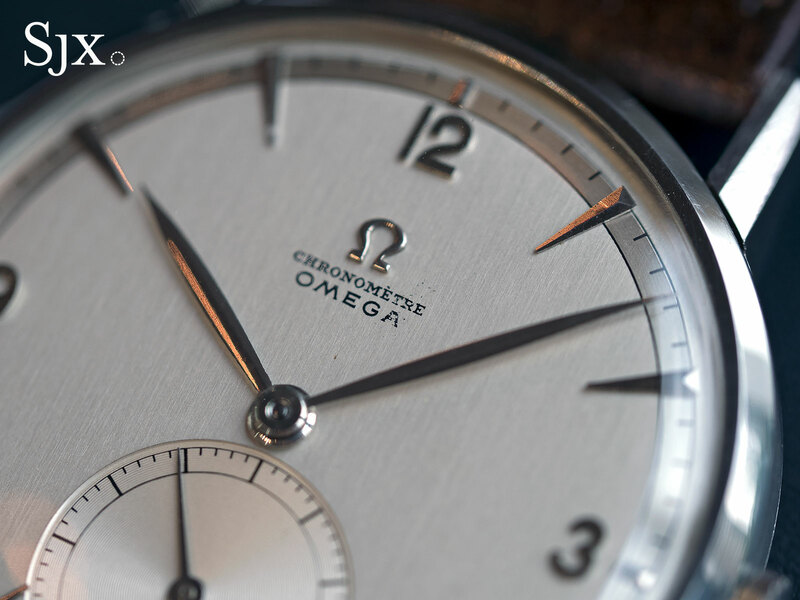 The Omega prototype, however, dates to 1947, just two years after the end of the Second World War. That year Omega created a dozen (though later believed to be 13) prototypes of the cal. 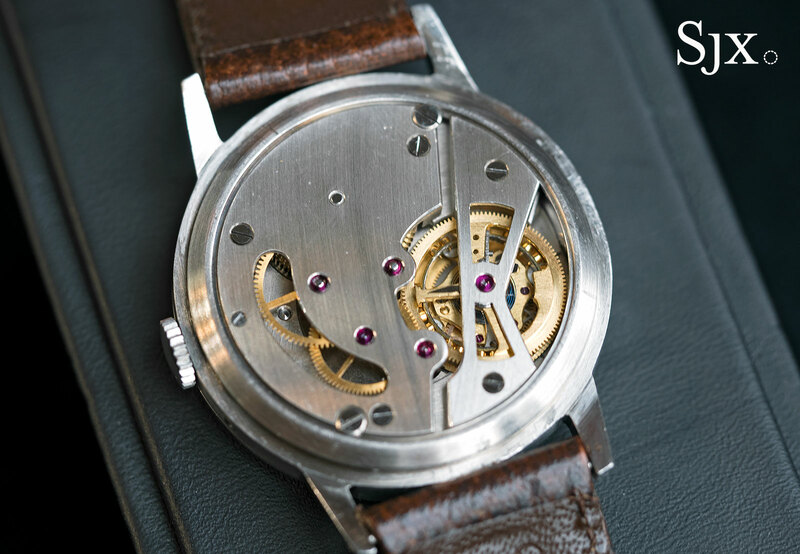 30I movement, a 30mm size, hand-wound calibre with a tourbillon regulator. 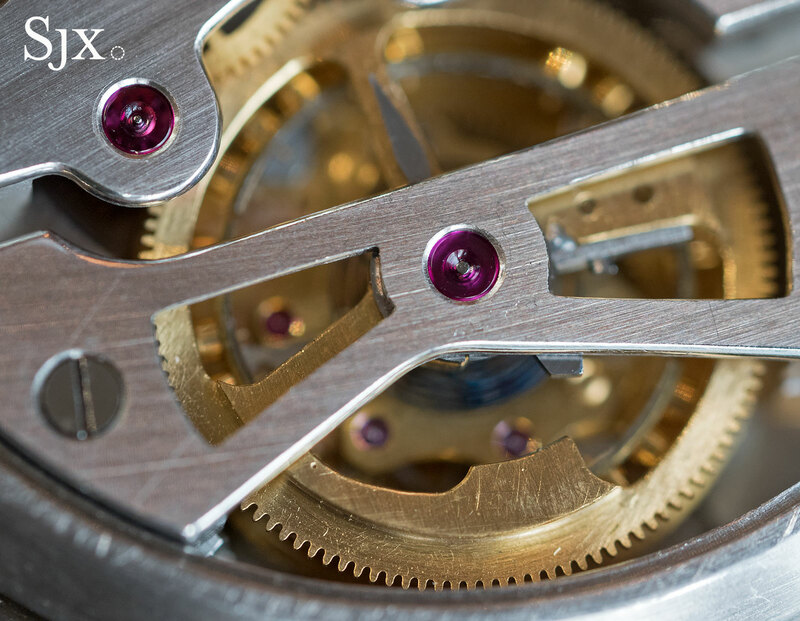 Unusually the tourbillon cage took 7.5 minutes to complete a full rotation, in contrast to the standard one minute revolution that majority of wristwatch tourbillons. The experimental movements were conceived to contest the timing trials at the Geneva, Neuchatel and Kew-Teddington Observatories. 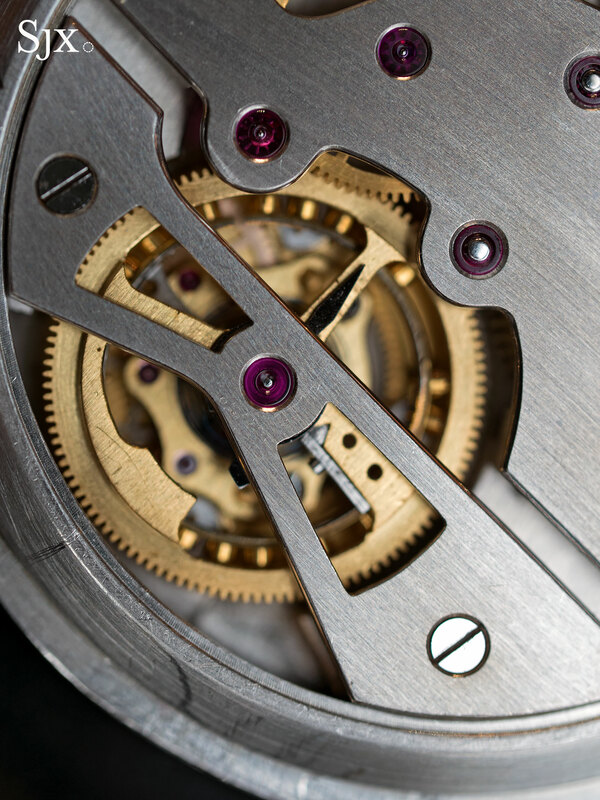 The 12 movements took part in several chronometer contests from 1947 until 1952, performing notably well in Geneva: in 1950 a cal. 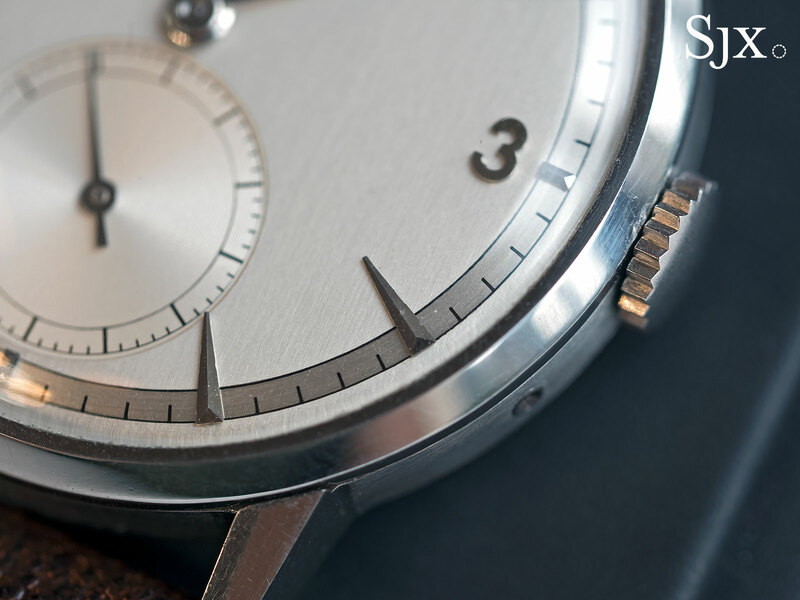 30I with the serial number 10,595,933 achieved the highest score to date for a wristwatch with 867.7 points. 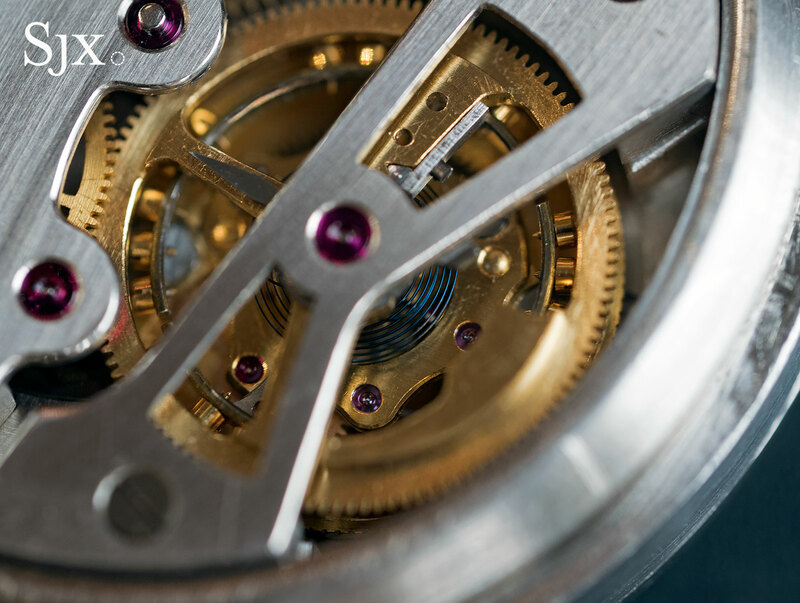 The reason for these tourbillon movements, according to contemporary literature in the Omega Museum, was the fear that American and English watches would swamp the Swiss watch industry. 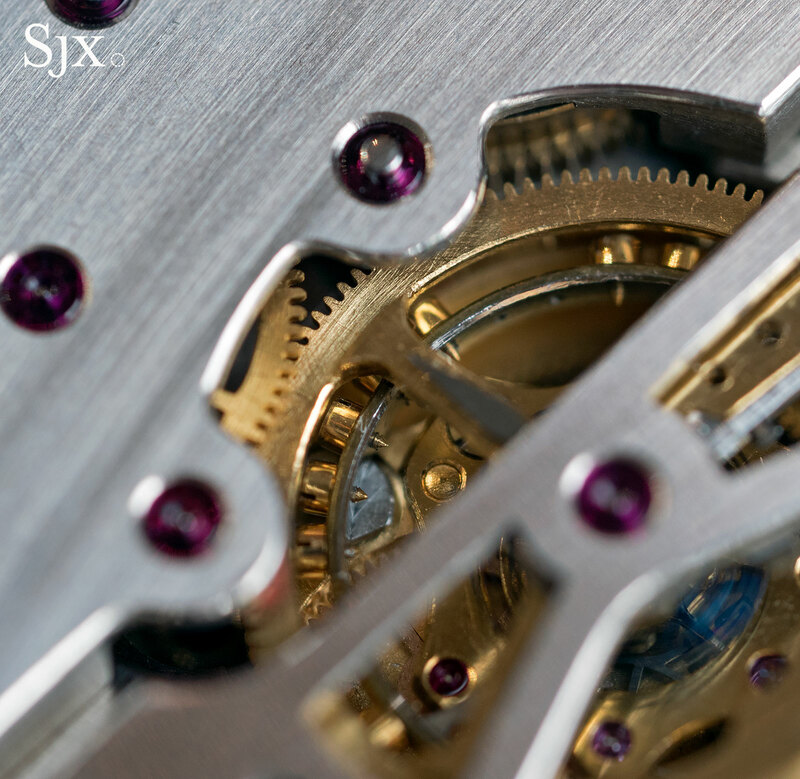 In order to stave off competition, Swiss watchmakers would have to make better watches – meaning timekeepers that kept better time. 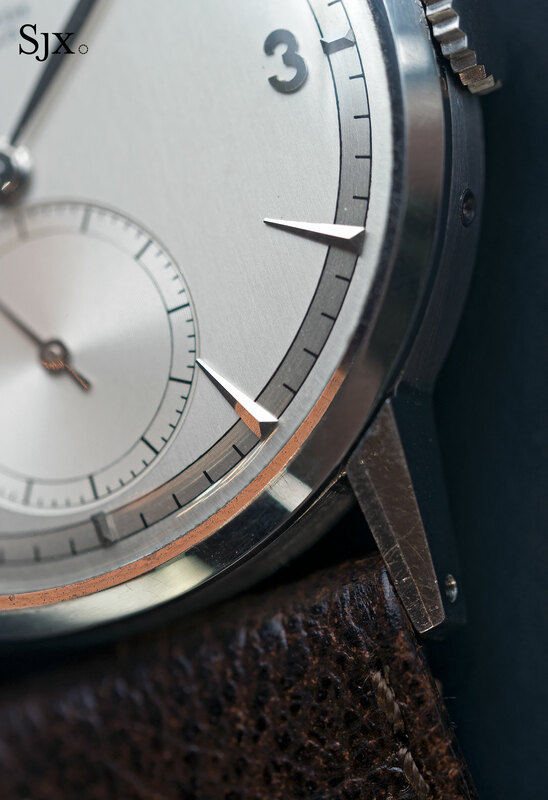 Fortunately for the Swiss, the Americans and British watchmakers would go extinct themselves; instead it would be the low-cost Japanese watch and the Quartz Crisis that would kill the Swiss business two decades later. 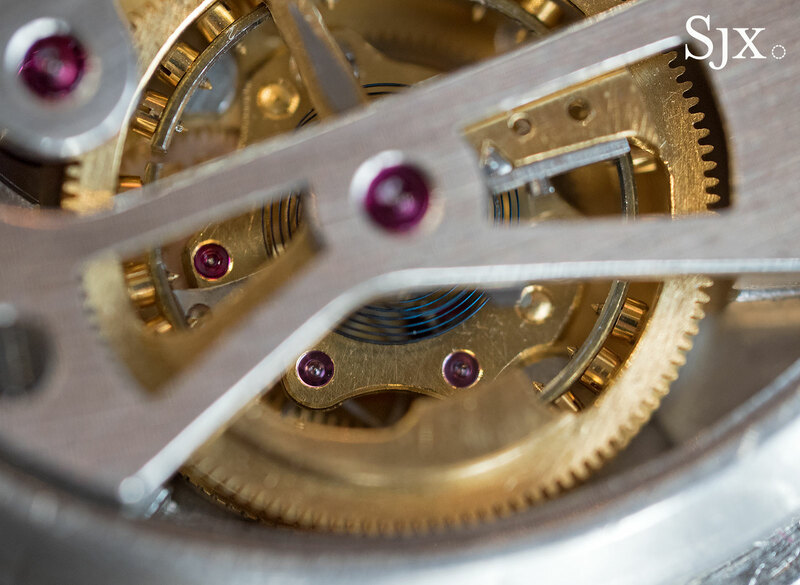 In 1987, the remaining seven of the 12 tourbillon movements were rediscovered at Omega, freshened up with rhodium-plated and decoration, then put into yellow gold or sterling silver cases and sold. Four of those subsequently appeared at Antiquorum auctions, including a pair at the 2007 thematic sale Omegamania, where one sold for over SFr250,000. The Omega tourbillon at Phillips’ auction, however, is the original, the actual prototype wristwatch from 1947. Previously unknown, the watch has been confirmed by the Omega Museum, which possesses period photographs as well as technical drawings of the wristwatch. But how this prototype left Omega and ended up in private hands, no doubt an intriguing tale, has now been lost to time. 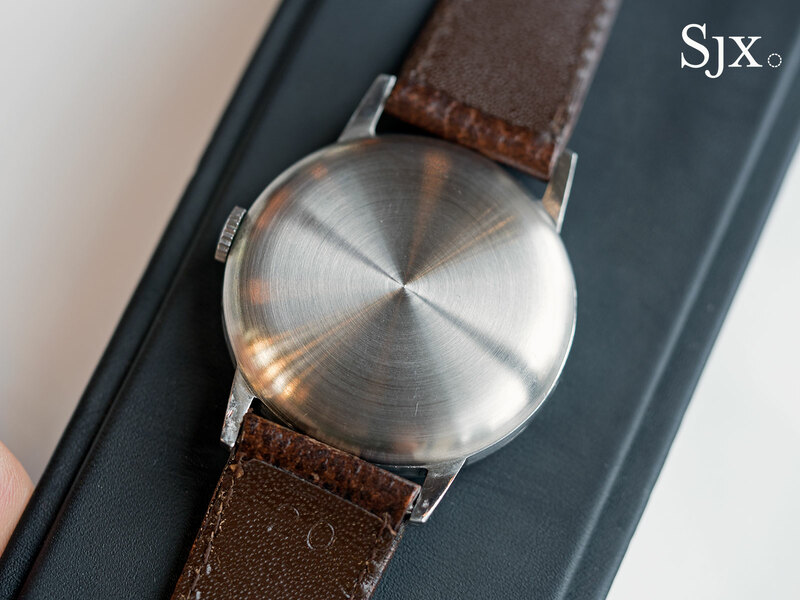 Despite being a landmark wristwatch, the prototype is a modest affair in person. 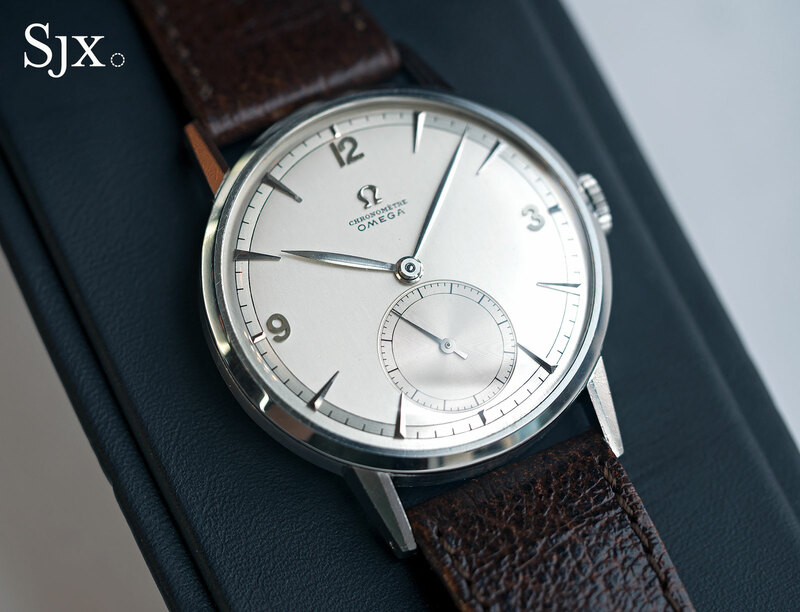 The steel case is 37.5mm in diameter, while the dial is two-tone and handsome, but from the outside, the watch is indistinguishable from an ordinary Omega of the same period. 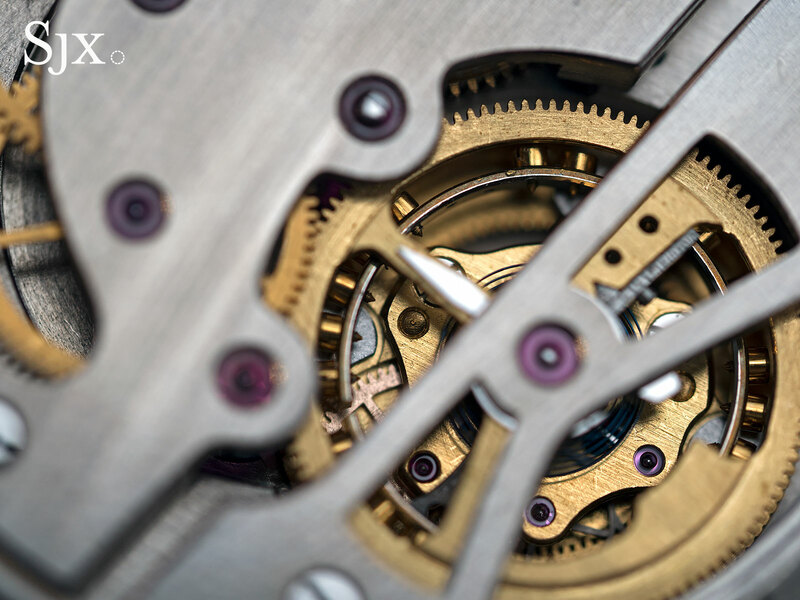 The tourbillon is, unsurprisingly, constructed according to the then prevailing wisdom for chronometers, meaning a bimetallic Guillaume balance with poising screws on the rim and a hairspring with Breguet overcoil. 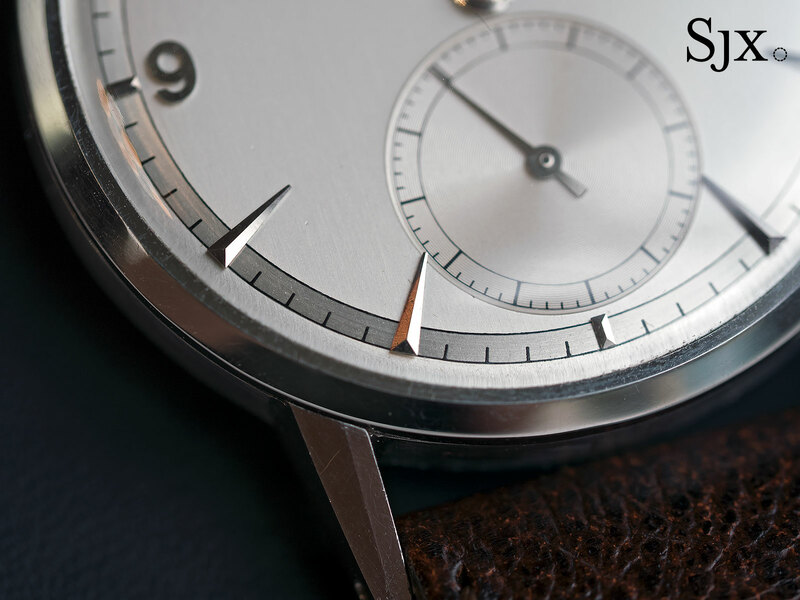 The look, feel and history of the watch make it a supremely nerdy timepiece. While there are much more expensive and desirable watches in the same auction, the Omega tourbillon is certainly one of the most substantial watches on offer. While it already enjoys a hefty estimate starting at SFr100,000, it will probably go high, not only because a handful of intellectual collectors want it, but also because the Omega Museum needs it. The 1947 Omega tourbillon wristwatch is lot 182 in Phillips’ The Geneva Watch Auction: Six, which takes place on November 12, 2017 at La Reserve in Geneva. It has an estimate of SFr100,000 to SFr200,000. You can find out more here. Correction November 10, 2017: The Omega is the first Swiss made tourbillon wristwatch, and not the first tourbillon wristwatch of any kind.